Dornbach Consulting GmbH is a consulting company in the Dornbach Group group of companies that is active on a national level. As a result of our close collaboration with other companies of the Dornbach Group, we can offer our clients the opportunity to implement comprehensive solutions with a partner. Anyone who wishes to obtain the best from their company needs an effective and superior IT infrastructure. Our IT specialists can support you in finding and producing solutions that are customised individually for your company. As far as we are concerned, IT consulting means demonstrating and discussing the possibilities and benefits of IT, and then implementing the performance-enhancing tools. In order to meet your demands comprehensively in all respects, we collaborate closely with our Collaboration partners, who can solve any problem with their know-how and many years of professional experience. Take advantage of the expertise of professional experts for your company as well! In order to meet your demands comprehensively, we can, cover the entire IT sector in the future together with our collaboration partner IT-Improvement Deutschland GmbH. The IT specialists from IT-Improvement Deutschland GmbH have many years of professional experience and an extremely wide range of professional expertise. Heinz Brommundt is a Managing Director and Managing Partner of IT-Improvement Deutschland GmbH and formed the company in 2007. He has more than 30 years of professional experience in the IT and consulting sector. 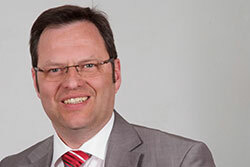 From 1998 to 2004, he was the Vice President of Capgemini Deutschland, where he was most recently active as the Chief Technology Officer and Sales Director for Central Europe. Previously, as Business Unit Manager and member of management for the Technology Service department, he was responsible for the development of a number of units such as automotive, financial services and utilities. Before that, he worked for a number of years as the CIO of a medium-sized group of companies and he also worked for the DGM, the consulting company of Deutsche Bank and Roland Berger for the medium-sized business sector. He began his professional career as a system engineer with Data General. He completed his degree in 1986 at the University of Duisburg as a graduate in Economics (Diplom-Ökonom) with a focus on business IT. Heinz Brommundt is married and has two children.